Yes yes yes, så er vi 50 medlemmer!!!! Velkommen Camilla R om medlem nr. 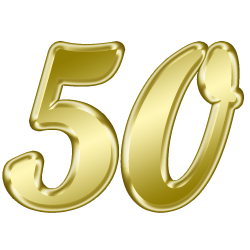 50! Jeg tog mig lige en gang Bacon og Eggs her til morgen, så måske var der også nogle antistoffer i breakfasten? Indskyder jeg lige her i Ryste pose tråden, som vist egentlig var en meget videnskabelig ment tråd, som skulle bruges til at kortlægge pro og kontra for CCSVI operationer vha. links til patienthistorier, men tråden ryster rundt, og det er jo en patientberetning i sig selv. Velkommen til rekrut 50, Camilla R.
Her er en læge (MD), som er blevet Liberated (opereret for CCSVI), så han er derfor en god mand for CCSVI kampen. Hans side er en blog, hvor man kan se alle hans indlæg ved at klikke på datoer og overskrifter - til højre et stykke nede på siden (Blog Archive hedder det). Han skriver "(the Liberation treatment) It provides relief and it does it fast!! " Ved ikke om man kan det, men hvis, er det da et forfriskende indslag..
Wheelchairkamikaze - det kalder han sig - en meget velformuleret mand fra New York, som sidder i kørestol. Lægerne har ikke kunne finde ud af hvad han har - MS eller ikke MS. Faktum er, at han er på vej ned af bakke - som en progressiv MS patient. Mitch er primær progressiv, og sidder i kørestol. Han blev i går opereret (ballon) hos dr Sclafani. It's been a long time since I've been on this forum, for those who don't know me I'm Melissa's other half. Melissa is a 34yr old woman diagnosed with MS back in 2007 (seems a lot longer than that!) had HiCy treatment in 2008 at Hopkins, relapsed in 2009 and had three stents placed by Dr.Dake at Stanford in July 2009 as she was in the middle of a relapse. The relapse disappeared after a few days. You can click my user info for the whole story of course, this is just a quick update for those who know us and anyone else who may be interested. Mel has continued to do very well, in fact I only thought about MS and CCSVI today as I saw an article on a tech website I frequent (singularity hub) talking about the Buffalo results which look promising. We have been lucky enough to put MS behind us for now. Melissa continues to do very well and has no residual MS effects. Even her eyesight has improved a couple of prescriptions and the pars planitis has stopped and even shows signs of 'clean up' with the snow banks reducing a lot. Full time at work and is giving a massive presentation tomorrow in front of hundreds of doctors and phd's, she's a geneticist. Unthinkable only a year ago when keeping awake more than 4 hrs at a time was a small victory. So for Mel this has been a complete success and the best thing is, if something does go wrong and 'it' comes back, we know what to do - there will be a blood flow issue and it can be repaired. That is the biggest comfort of all and allows us to move on (me more than her of course), not like after HiCy when we thought if this doesn't work then that's the end. I wish you all the same results that Melissa has been lucky enough to achieve. My mailbox is full on here but I can but I can be reached at jamie.keogh@gmail.com if any of my old pals want to catch up. I am 5 1/2 months post surgery for CCSVI. It was winter when I was treated. I can take hot showers and have done many things which would say I do not suffer from that dreaded MS heat intollerance but, I just had to wait for a summer day to prove it. Today was that day. It was 90 degrees today and my family headed to the US National Whitewater Center. I had never been before today because of my MS. We went on a guided kayak tour. I had a 2 person kayak and my 10 year old son sat in front. We paddled in full sun for 2 hours. It was hard.....but I did it! Then we rented bikes and rode a trail. I have not been on a bike in a really long time.....and I did it! Then we went to the "climb to zip" course. I raced my 10 year old 35 feet up a climbing a pole with footholds like those on a climbing wall.....and I won! When my son and I were hooked up to the zip line which would take us to the ground, I knew this was my reward for beating MS. It was a little scary to fall from that line, but I felt like it was a new beginning for me and my family. My boys really knew they had a new Mom. My husband was going on and on about how I would NEVER have been able to do any of this before treatment. He had a big grin on his face. As we stopped to grab some cold drinks a young woman passed me having a lot of difficulty walking. She had crutches on her arms and her boyfriend was helping her to the elevator. She said to him as she passed me, "my foot drop is really bad" and she could barely shuffle her feet. At that moment I knew how lucky I was. I wanted to grab her and tell her all about CCSVI, but didn't. I really hope she knows about this, and I really hope everyone with MS has the opportunity to be tested and treated. Thanks for letting me share my amazing day. Thanks to TIMS and to some amazing and smart people here for this miracle. Because I have been so blessed, I will continue to advocate for CCSVI and all people with MS.
Hvor henne præcis? Tror du ikke du forveksler den med en anden? Den her er fra igår, og der er ikke noget under "Nyheder" der ligner det her. Det var nok et forkert sted, dette her er nok det rigtige sted at skrive det.